Plus book reviews and an obituary remembering Zhang Zhongpei 张忠培 (1934–2017), a scholar who made great contributions to Chinese archaeology. 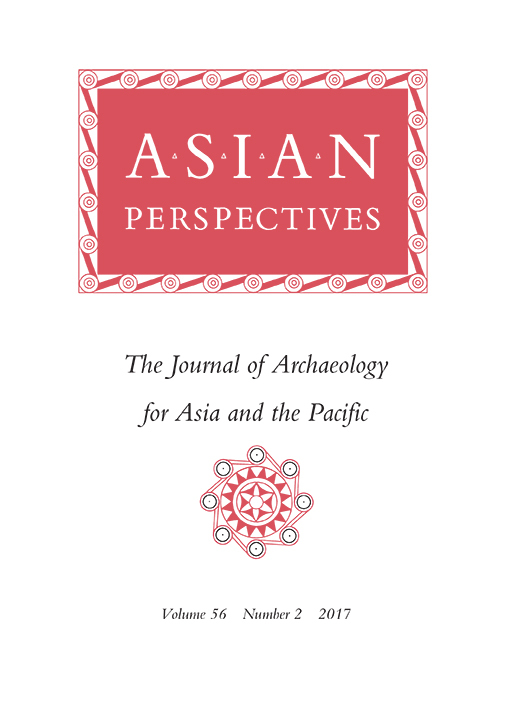 Asian Perspectives is the leading peer-reviewed archaeological journal devoted to the prehistory of Asia and the Pacific region. In addition to archaeology, it features articles and book reviews on ethnoarchaeology, palaeoanthropology, physical anthropology,and ethnography of interest and use to the prehistorian. Occasional special issues focus on single topics. The editors welcome articles on the archaeology and prehistory of Asia and the Pacific region. Submission guidelines can be found here. This entry was posted in Asian Perspectives and tagged archaeology, asian, prehistory. Bookmark the permalink.